Rubber Flooring Inc offers a wide selection of interlocking floor tiles that are suitable to fit a variety of needs. Our rubber tiles, garage flooring tiles, foam rubber tiles, foam backed carpet tiles, and soft wood tile flooring comes in a multitude of multipurpose thicknesses that can fit all occasions whether that is for personal or professional use. 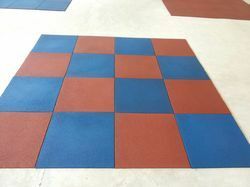 When looking for a durable interlocking tile flooring that is both easy to install and slip resistant, we carry numerous rubber tile flooring solutions that are perfect for uses such as gyms, weight rooms, children’s play rooms, basement’s, workshops, just to name a few. 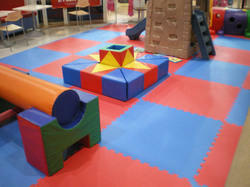 Rubber Flooring Inc also offers a wide array of soft foam interlocking floor tile systems. These tiles include our 5/8” thick soft tiles, carpet tiles, soft wood tiles, extra thick jumbo soft, and oversize monster soft tiles and are all designed to offer a tile solution that is low in cost, light in weight, easy to install, and inexpensive to ship. 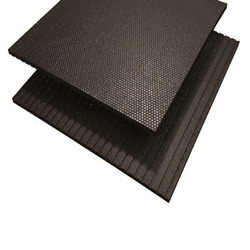 Whether you need rubberized foam flooring for your personal aerobic room / exercise room, a soft flooring option for use as a play mat for a kid’s play room, or you need carpet or wood foam floor tiles for your trade show exhibit booth or any other need, we have the foam rubber floor tiles for you. Additionally, we have flexible and rigid PVC tiles that are an excellent choice for areas that need to withstand chemicals like those found in garages. These can also be used in a variety of other applications such as trade show floors, retail display flooring, auto show exhibit floor coverings, bathroom and basement flooring just to name a few! These tiles are extremely easy to install and most have a flexible rubber like quality. Our proficiency in this domain enables us to provide our clients with a complete range of Gym Interlocking Rubber Tiles Floor. These floorings consist of glass fibre strength-layer, PVC foaming shock layer and PVC wear-resisting layer, which makes them highly acclaimed by clients across the globe. Assuring strength and softness, our range is at par with the set industrial norms and standards. 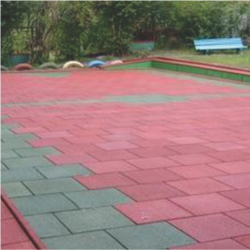 We manufacture Interlocking Rubber Tiles which are made of recycled rubber and polyurethane binder tough, flexible and long-lasting. We offers splendid range of Interlocking Rubber Tiles, which is offered keeping in mind the budgetary constraints of the clients. Our manufactured colorful range of interlocking rubber tiles are offered in delightful patterns and eye soothing colors that lends a look of grace to any area. 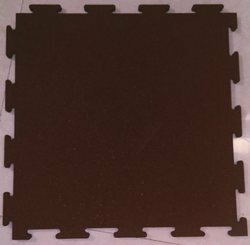 We offer these interlocking rubber tiles in adherence with the internationally approved parameters for quality and in consonance with the specifications laid down by the clients. 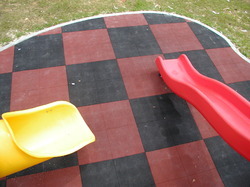 We are engaged in offering a qualitative array of Sports Rubberized Flooring to the clients at industry leading prices. 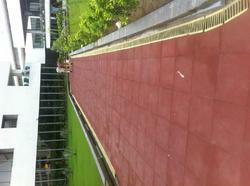 These rubber flooring are developed as per the requirements of our clients. 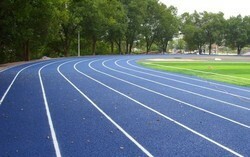 The cushioning effect of these flooring minimizes the risk of injury to the athletes. Rugged yet beautiful, these flooring are available in various designs, patterns and colors. Understanding the requirements of the clients, we offer these flooring in customized sizes accordingly. We are instrumental in providing our clients with a broad array of Interior And Exterior Rubberized Flooring, which is designed at par with the international quality standards. Assuring a modern and sophisticated look to the living space, these flooring find extensive application in various residential and commercial establishments. Keeping in mind the budgetary constraints of our clients, we offer these flooring at most economic prices. 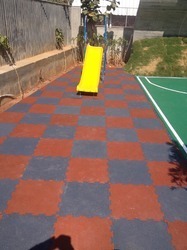 Our expertise in this domain enables us to offer a highly engineered range of Jogging Track Rubberized Flooring, which is manufactured with quality raw material. These superior grade flooring assure optimum smoothness yet hardness and protects individuals from hard, cold surfaces underneath. Our clients can avail these flooring at highly competitive price. 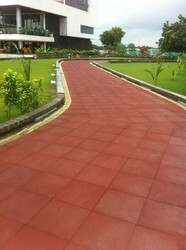 These flooring can be laid out on any concrete surface and can be availed in a number of colors, patterns and designs. We are ranked amongst the renowned names engaged in providing the clients with an extensive assortment of Path Way Rubberized Flooring. Our procured range of product is manufactured from high grade raw material, which ensures its conformation with the international quality standards. Clients can avail the entire range from us in diverse specifications in tandem with their specific requirements. We are engaged in providing our clients with an extensive assortment of Customized Rubber Flooring, which helps them to make changes in standard flooring as per their needs and preferences. While customizing the flooring, we ensure to maintain the quality and durability of the entire assortment. Clients can avail these flooring from us in variety of colors, designs and patterns. Our entire assortment is marketed at leading market prices. Our company is well known in the market for the supply of a wide range of flooring solutions that include the Rubber Flooring which has been bought from well known vendors in the market and they are used in various areas and offer a high performance to the customers in the market. These floors are mostly used for sports courts and they are very easy to maintain and are available in a range of colours and have been priced at very reasonable rates in the market. 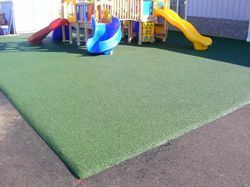 The range of products which we supply to the customers include the Synthetic Rubber Flooring which is high on demand in the market and they have been bought from well known vendors in the market and they offer a long lasting functioning to the customers in the market. These products are used in various places for the process of flooring and they are available in various sizes, designs, colours and they are very easy to maintain. We provide rubber flooring that is durable enough to withstand even the most demanding environments, including Children's Playing Areas and yet is easy enough to install and maintain to make a great option for use in home exercise rooms. Our procured range of product is manufactured from high grade raw material, which ensures durability. This Rubber Flooring can be laid out on any concrete surface and can be availed in a number of colors, patterns and designs.